Fast Company magazine recorded a conversation with Game of Thrones creator, George R.R. 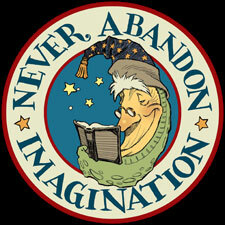 Martin, and myself on fantastical world building, creative process and finding inspiration. Thanks to Chuck Salter, George (and Raya), Jim Ludwig and the staff at the Jean Cocteau Cinema for capturing this moment. The event at the Cocteau was a fun and memorable event. Many thanks to all the readers, young and old, who attended. I hope to visit again soon!